Home / Movie Reviews • Reviews / LEGO DC Super Hero Girls: Brain Drain DVD Review! 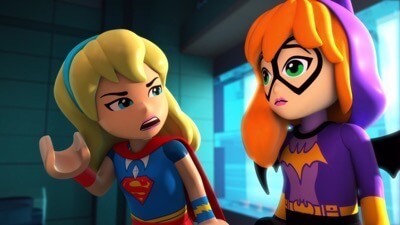 LEGO DC Super Hero Girls: Brain Drain DVD Review! Warner Bros. Home Entertainment provided me with a free copy of the DVD I reviewed in this Blog Post. The opinions I share are my own. The DC Brand has really made its mark on the animated market, one place where it’s kept up, if not surpassed the other rival comic book house that shall remain nameless. The animated arena is a perfect place for superhero films, be it dark and made for more adult audiences or for audiences under four apples high. 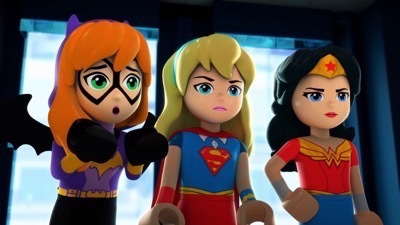 The new animated film, Lego DC Superhero Girls Brain-Drain is an original animated feature featuring some of the best loved female comic characters like Wonder Woman, Supergirl, Harley Quinn and more. With a runtime at a solid 72 minutes the story is packed for young audiences with enough humor to keep older audiences invested in the storytelling as well. 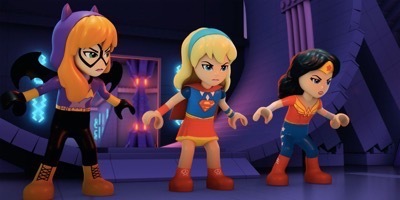 Someone has brain washed all the super heroes we know and love and now it’s up to three heroes Wonder Woman, Batgirl and Supergirl to find out who is doing this and how to stop them. The story is actually really good and while not totally unique a fun way to get the three heroines to team up to stop the dastardly plan. The humor is really the thing that sold me on the movie. Animation can always be a mixed bag, but with the right elements of humor thrown in, a story can really fly by. There are several great small moments, the beginning especially has a great breaking the fourth wall joke that I really liked. There are times when the film became a bit too juvenile for my tastes but all in all the humor was used to great effect here. While I’m not the target market for this film by far, it still had a lot of great moments that any comic book, or comic movie fan would enjoy. It was also great to see some of the characters generally forced into side roles get to be in the forefront here as well. It’s a pleasant film, that adults can watch with their children and kids can enjoy without getting bored. There’s something for everyone here and that’s a high compliment. Star Trek Into Darkness Movie Review! My Brief Thoughts! What Do You Guys Think! Sound Off! Everest 3D Blu-ray Review! How Does This Real Life Harrowing Tale Hold Up On The Small Screen? Scream Queens Season 1 Episode 9 Review And Recap! Ghost Stories! Omg I need to get this!